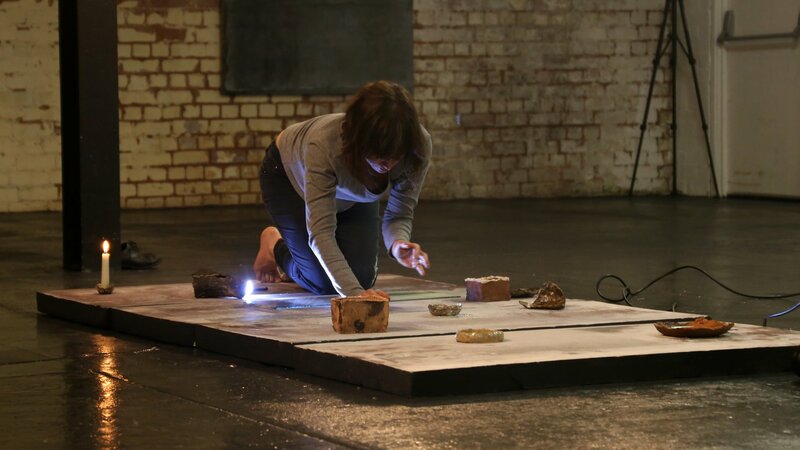 Olga Grotova’s first solo exhibition Debris on a Luminous Plain and special performance. London-based artist stages an environment of paintings, ceramic props and video work as a set for a new live work to present three female characters engaging in dialogues, confrontations and rituals. Their conversations drift from a small talk to the ecology and the supernatural being. Spooky occurrences in the natural world end up being logical whilst mundane events become symbols of agency and displacement.